Even if most of us don't watch baseball through the entire 162 game season, many of us are glued to our TVs and radios during October. One of the most unusual baseball books of the 2007 season, this remarkable new collection, which includes poems from both America and Japan, captures perfectly the thrill of baseball—a double play, a game of catch, or the hushed pause as a pitcher looks in before hurling his pitch. Like haiku, the game is concerned with the nature of the seasons: joyous in the spring, thrilling in summer's heat, ripening with the descent of fall, and remembered fondly in winter. 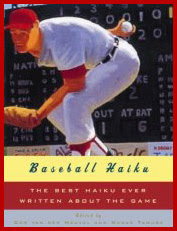 Featuring the work of Jack Kerouac, the king of the Beat writers, who penned the first American baseball haiku, and Alan Pizzarelli, a major American haiku poet, the collection also includes Masaoka Shiki, one of the four great pillars of Japanese haiku, who fell in love with baseball when he was a student in Tokyo. Shigenobu Shima, 28, of the Hiroshima Carp, this season's leading hitter in the pro baseball Central League, may be one of those who were treated to a rainbow after putting up with rainy skies. As if you were there"
A reading at the National Arts Club in Manhattan. * In some stadiums, when the opposing team hits a home run or a foul ball into the stands, the fans will throw them back to the field...which happened at Fenway and Yankee stadium during the playoffs. * Usually in the post season, it is the Red Sox fan who 'waits till next year' But this year, the Red Sox came back to win a best of seven series. WHAT ARE THE BASEBALL WINTER MEETINGS? This event is an opportunity for baseball's backbone to reflect on last year's season and plan for the future as we prepare to set records in 2005. Looking at what has and has not worked in the past provides a seasoned look at new ideas and directions for the future. It is time to gather, collaborate and play as we conduct the business of baseball while also celebrating our great pastime. President Mike MooreThere are several key facets of the Winter Meetings of which you need to be aware. 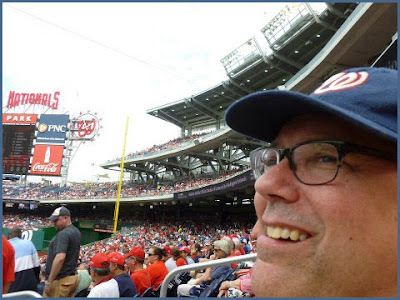 The Bob Freitas Business Seminar, the Baseball Trade Show featuring more than 275 exhibitors and the 12th annual Professional Baseball Employment Opportunities Job Fair are annual staples of the event. The schedule also includes meetings held by leagues, classifications and executive committees. The knowledge to be gained is immense, but for the times you start to feel as if you've had enough baseball business talk, there will be exciting special events such as Opening Night at the Trade Show, Luncheon, Annual Banquet & Annual Gala. Information on these events is forthcoming. WHO ATTENDS THE BASEBALL WINTER MEETINGS? The annual Winter Meetings boasts the largest assembly of executives from all classifications or professional baseball in the world. More than 3,000 people are expected to attend including representatives of 160 Minor League Baseball and 30 Major League Baseball organizations. We are also pleased to welcome representatives from various countries. Opening Day is warmly regarded in North American tradition as the beginning of a new Major League Baseball season. The ballplayer and his legacy will be remembered with tributes and testimonials. 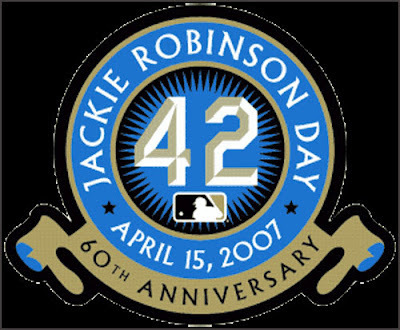 All big-league players will wear Robinson's number 42 on their backs, the only number in sports retired in perpetuity. It is important to remember that Robinson broke major league baseball's color line on April 15, 1947. But if we restrict Robinson's influence to baseball, we do both him and what he accomplished a tremendous disservice. 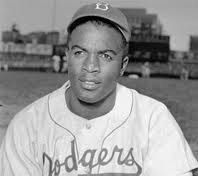 He was arguably the most important civil rights figure, and the integration of baseball the most important civil rights story, in the years immediately after World War II. a U.S. brand of snack consisting of strong molasses-flavored candy-coated popcorn and peanuts, well known for being packaged with a prize of nominal value inside. Some food historians consider it the first junk food. 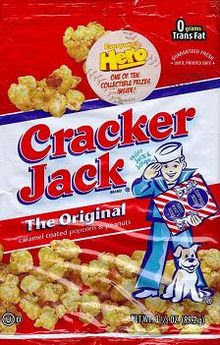 Cracker Jack is also famous for its connection to baseball lore.
. . . . . Prizes were included in every box of Cracker Jack beginning in 1912. One of the first prizes was in 1914 when they produced the first of two Cracker Jack baseball card issues, which featured players from both major leagues as well as players from the short lived Federal League. The prizes attained pop-culture status with the term "came in a Cracker Jack box," referring to an object of limited value. In recent years, the toy and trinket prizes have been replaced with paper prizes displaying riddles and jokes.
. North American Saijiki .